Copycats: When I Move You Move! In April 2011, my buddy Eugene launched a website called Likeacoupon.com. Likeacoupon is very clever. 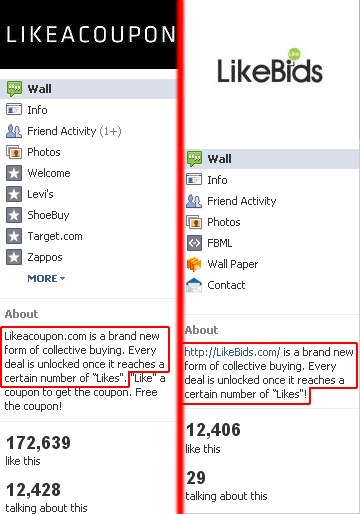 This deal site doesn’t require you to do anything but “like” the coupon on facebook. The wonderful coupons and simplicity made the site viral. So viral in fact, that I was brought on board to deal with the high traffic and scalability issues. I mean… it’s not everyday you see a website earn over 172,000 “likes” in a little over half a year…. and that’s for the main site, not the individual coupons. 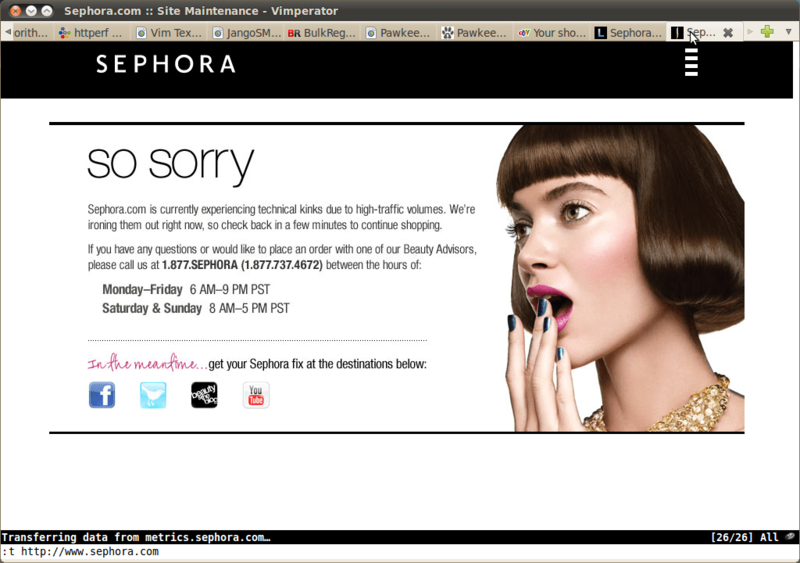 Might I boast that when likeacoupon released a sephora coupon, it directed so much traffic to sephora.com that it brought down their site for a few hours? Lol. We meant no harm. It was like an unintentional DDOS attack. But that’s how effective likeacoupon is. In October, Eric Mitchell launched a knockoff of likeacoupon.com. It’s called “likebids.com”. Okay. Now I understand that good ideas attract copycats and knockoffs… but c’mon. Be a little original please? Not only did they copy the “about” word for word, they copied the meta og:description tag (used for facebook opengraph) word for word. Hahaha. These guys are just shameless. When I move you move!